I am a veteran of Operation Iraqi Freedom. I have many war wounds, none of which can be seen from the outside. Most days, if you were to look at me, you would never know that anything is wrong. However, the inside is destroyed. This is the life of a modern combat vet. I was injured in Iraq, although I never knew it. It could have been many things, or a combination of everything. As most Iraq vets, I have been there and seen things that I hope most people never have to endure. I have been attacked in just about every way possible, but I was lucky. I came back with all my body parts, and seemingly, no effects. That is until one day I woke up and couldn’t move. I eventually made it to an MRI. The Doc read it, and asked me when I broke my back. I didn’t know I ever did. But with 5 fractured vertebrae and 7 ruptured disks, it was quite obvious. And to think, I was actually going in to get my knee checked out, since I have torn ligaments many times, and already had surgery once. Three months later, I was a civilian. Luckily, I was at the right place at the right time. I had a good job and a family. So what more could I want? My military career was over suddenly after 12 years, and my dreams were shattered, but life goes on. And then the PTSD hit. After being out of combat for a few years, I just couldn’t imagine that I had PTSD. 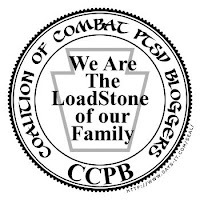 But after being checked at the VA for my C&P evaluation, they found moderate PTSD. I was asked questions that I had never thought about; questions about hyper vigilance, anxiety, stress, sleep, etc. Just like I would have never thought that I had a broken back. Yes, it hurt, but what Soldier’s back doesn’t, right? But life went on. And as time went on, other things began to come up. I was having memory and vision problems, so they tested me for a Traumatic Brain Injury. And sure enough, I had a moderate TBI as well. Then my shoulders began to hurt, so I asked the doc about it, and a couple months later, I was having surgery. Things just seemed to keep popping up, and then I had a disk slip in my back, requiring surgery. I was in the hospital for two weeks before I had the surgery and the slipped disk wasn’t even in a place previously identified as damaged. Luckily, my employer accepted my new limitations, as I had a rather unique skillset. However, my home life was crashing because of the constant stress of managing medications (up to 18 at one point), trying to maintain my job, and then deal with a family that didn’t understand PTSD or TBI, nor even try. Then one day, I got up from the couch, or rather attempted to, and was on the ground. Another hospital stay, but this stay left me no longer able to work ever again. I was left reeling and wondering now what do I do? Well, that question was answered for me, as my wife kicked me out because I could no longer afford to keep her in the manner she was accustomed. So there I was, living on VA disability (Social Security and my private disability insurance both denied my claims). After bills were paid, I had enough for a bowl of Ramen every other day. I just ignored all the credit card bills and non-necessities, as there was nothing left. I continued to live this way, alone completely for a year. And my health got worse. So bad in fact, that I was sitting there one night with a gun in my mouth, debating to pull the trigger. At this time, something strange happened. I got a spam email from a good friend I had as a pen pal while in Iraq. And after talking for a month, we decided to move back home, where we were both from, and try to start a new life. I warned her what she was in for, both with my mental and physical well-being, and she accepted that, knowing that she would have to take care of me. Life was once again worth living. We were home for about a month, and then on New Years day, I had a strange mystery pain. So we went to the ER. After the usual tests, they really couldn’t identify what was wrong. But the pain went away, returning 5-6 times a month. As time went on, my back continued to get worse. Unfortunately we lived in a second floor apartment (and still do). The VA here is great, so they provided as much as they could; a power chair, car lift, stair glide, ramp on the front of the house. It was still difficult to get around. I have been through worse. As time went on the list of ailments continued to grow; a pineal cyst was discovered in my brain, I had more pain in my back, extreme pain in my legs, experienced numb feet, developed “mystery” pain, and a host of other things. Fortunately, the government passed the Caregiver bill, which now pays the woman who became the love of my life, to take care of me. It is difficult at age 37 to have a need to be taken care of, but I can adapt. Then the VA recommended that I try a recumbent trike for physical activity. I had been looking for something I could physically do for quite a few years, and never found anything that didn’t aggravate my back, knees, shoulders, or in some other way hurt. I will try anything twice. So I tried it, and it was a miracle. Much like Family of a Vet was to me. After all, I was “forced” into FOV, which may have been the best thing in my life! Finally, I got my trike. The VA does take a while, but it can work if you know the right buttons to push. I was so excited, not only could I do something physical, but it decreased my back pain. So much that I decided to form the FOV cycling team! Then the snow came, and I could no longer ride. It had only been a week or two before winter hit, but at least I was ready for spring! Then out of nowhere, the mystery pain was back. It had come and gone before, with a few trips to the ER. But this time it was horrible. So I was taken to the local hospital by ambulance. After a 4 day stay, I find out that I have Sarcoidosis in my lungs (a diagnosis a week before) that got worse, but my Gall Bladder needed to come out. I can handle that, a Gall Bladder is no big deal. That is until the doctors got the CT results back. A Pulmonary Embolism was found in my right lung. At age 37?!?! Somewhere along the line, my VA rating was increased to 100%. Since I can’t work, I filed for Total and Permanent (T&P) which has been pending for 9 months. This is a process that should take no longer than 45 days, but taking longer is the norm with the VA sometimes. They have a heavy caseload, and few staff. Trying to get an honest answer from them of why there is an extreme delay is like pulling teeth. In reality, the T&P doesn’t really do anything for you, since I am already rated at 100%. However, it will open up one critical benefit to us and allows us to file for a Specially Adaptive Housing (SAH) grant. The SAH grant is critical for us, as there are organizations out there that will provide a house for my family and I that fits my needs. It would be wheelchair accessible and provide me the opportunity to have more independence in my life. Yes, I have a roof over my head, but it is not designed for someone who has multiple disabilities, and has trouble moving around. This may sound like a “poor me” story. However, this is not the intent. I am not alone, and there are always those that are worse off than myself. I am just one of many. I did what I was asked and suffered what I knew could happen. I accept that. I go on living the best I can, getting as involved as I can with Family of a Vet to not only help others, but help myself as well. To me, I just did my job; what was asked of me. Those around me, feel I deserve better; maybe they are right. As you read this, realize that I am not alone. I could have very easily been a homeless vet you see on the street corner. I could very well be dead at a moment’s notice from a Pulmonary Embolism that is sitting in my lung as I write this. But, I am here. Fighting every day for the best life I can have for me and my family. The same way I fought for my country. And I wouldn’t change a thing. There is certainly nothing wrong with living on a shoestring budget, in a home that doesn’t permit me to have a great quality of life, with health problems that are going to take a major toll on my life, and keep me from doing the few things I have left to enjoy, but I wake up on the right side of the dirt every morning. I will continue to fight to do so every day, the same way that many of our vets do every day. I have the benefit of having a great caregiver in my life and the support of an organization that is always there for me, which is a benefit that many of our vets do not have. I am an Iraq vet, who takes most of his days at medical appointments at the VA, but I see the older generation of veterans, who have suffered even worse, without the attention of the mainstream media. All I ask is that you just realize that though you may have a rough day, there are those that fought for our freedom that are fighting a physical and emotional struggle every single day. They fight just to have one more day. They don’t worry about their own quality of life. That is a concept lost on them. They are merely struggling to just survive. I'm also a Disabled Vet with over 6 spine surgeries on all parts of my spine. I was also told to get a recumbent bike but I too am on disability from the VA. Can you please tell me how you got the VA to pay for your recumbent? The people to see are Recreational Therapy. Get a referral from either PT/OT or your PCP. I recommend getting in with PT for at least 6 weeks to ride the stationary recumbent, and have them log it to submit with the packet. They will also be looking for a few "key" answers to make sure they don't buy a $3000 paperweight. They will want to hear that you are looking for a trike to improve your physical and mental well being, improve your quality of life and mobility, to increase blood flow to your injured back, and that you will be riding "competitively". Yes, I know the last part sounds stupid, but that is the key word for them. You are free to join the FOV cycling team, as a memo from the team will help as well. If there is any way I can help, let me know. My email is tony@familyofavet.com, or you can reach me by phone at 814-889-1792.